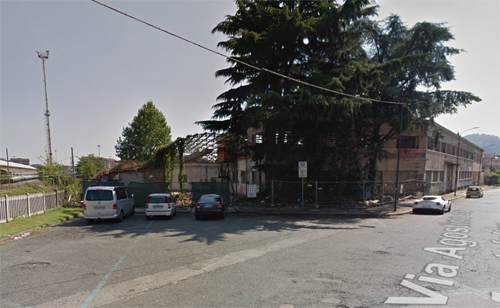 2016 – The former Frua Works at Via Agostino da Montefeltro in Turin, Italy (Google Streetview) The historic building is today almost gone. 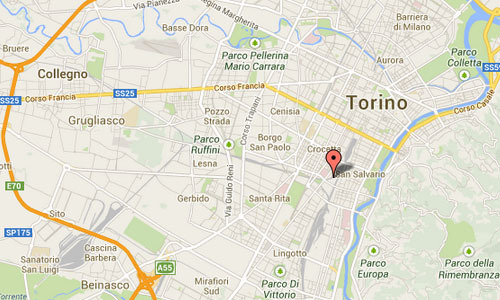 Via Agostino da Montefeltro is a street in Turin in Italy. 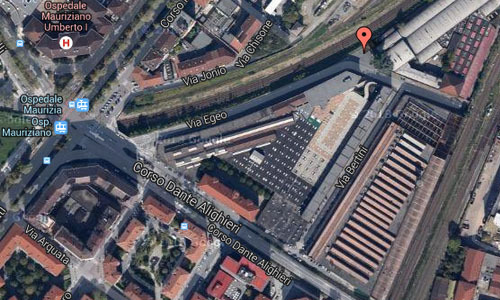 It was also the place where the Volvo P1800 was born. Here was the famous design study of Frua located, where Pelle Petterson ‘worked’ and make the sketches of the Volvo P1800. Here was also the first prototype shown to the management of Volvo. 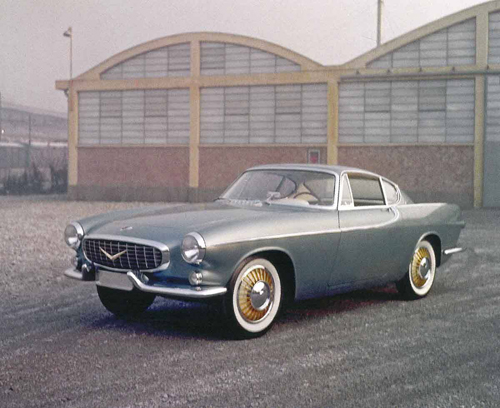 In 1957 Volvo agreed to develop a car at the Italian chassisbuilder Frua (where Pelle Pettersson worked) because the idea a Italian designed car should boost the sales of the car a little. 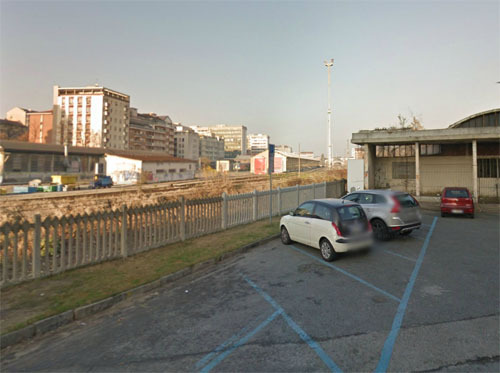 Helmer Petterson approached Frua (Turin, Italy). 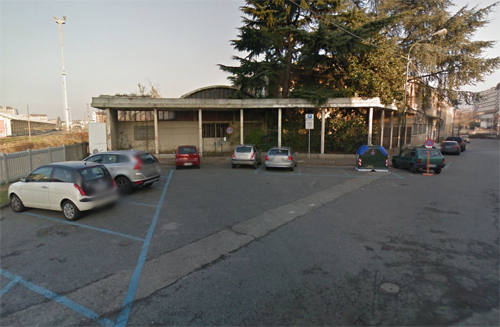 In 1957 Frua was taken over by Ghia (also located in Turin). Volvo went to Ghia for some sketches of the new car. Ghia and Frua made some sketches, but so did Petterson. The board of Volvo approved the sketches which later where from Pelle. Volvo VD Gunnar Engellau was furious: the new car wasn’t designed by a Italian designer, and how on earth should a designer who didn’t get a assignment design the new car? But the clash was solved and Pelle Petterson could go on with his design but Frua was officially assigned with the project, which was called Project 958. In the meanwhile Frua left Ghia because Ghia had doubts about the origin of a other car Frua designed: the Renault Floride. 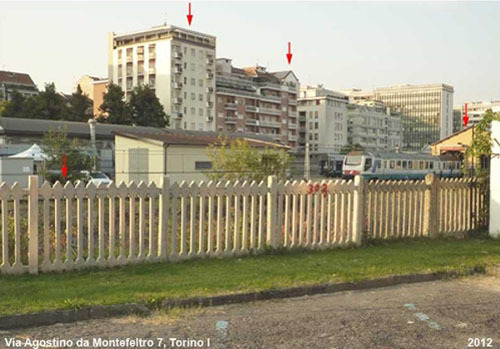 Pelle Petterson also left Ghia and started working at the new company of Frua. 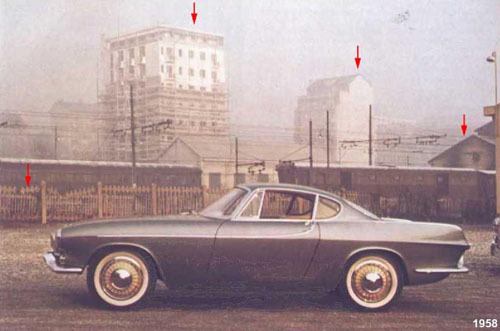 Volvo also moved to Frua because the project was assigned to Frua and Volvo had nothing to do with Ghia. At the end of 1957 Frua was building 3 prototypes based on Pelle Petterson’s design. When the first prototype (later known as P958-X1) was presented to the Volvo board in december 1957 the board was very pleased with the results. The final version of the car should be this car but with some modifications. The P958-X2 and P958-X3 were finished in the spring of 1958. To save some money the new car should use the mechanical parts of the Amazon, but would have a slightly shorter wheelbase. More information on projektx3.blogspot.se, osicar.de, en.wikipedia.org and www.volvotips.com.